Your RV life can be the adventure you’ve always dreamed of, but nobody wants unexpected expenses to throw a wrench in their vacation. Thankfully, you can stay happy and safe on the road by keeping your RV in good shape, and with regular, easy RV maintenance you can stay a step ahead of any minor issues that may arise. Make a checklist of these top RV care tips and keep it in an easy-to-reach location so that your RV stays in the best condition possible and avoids costly repairs! Check your tires for any imperfections or heavy wear before hitting the road. Keep your tires inflated to the recommended specifications, and check the tire pressure often. Keep the lug nuts tightened to proper torque settings. When you’re not traveling, protect your RV’s roof and exterior from sun damage by using an RV carport or cover. These are easily installed on your property for far less than the costly expense of replacing your RV roof! Inspect your roof 2-4 times a year for leaks and other damage. Clean the roof on a regular basis, and check the roof seals and seams at least every six months. Repair and patch any leaks with sealants compatible with your RV roof. Keep your slide out rails in prime condition by lubricating them once or twice a year. Without this minor and inexpensive upkeep, slide-out rails can deteriorate, and you’ll find yourself with costly replacement due to corrosion or rust. 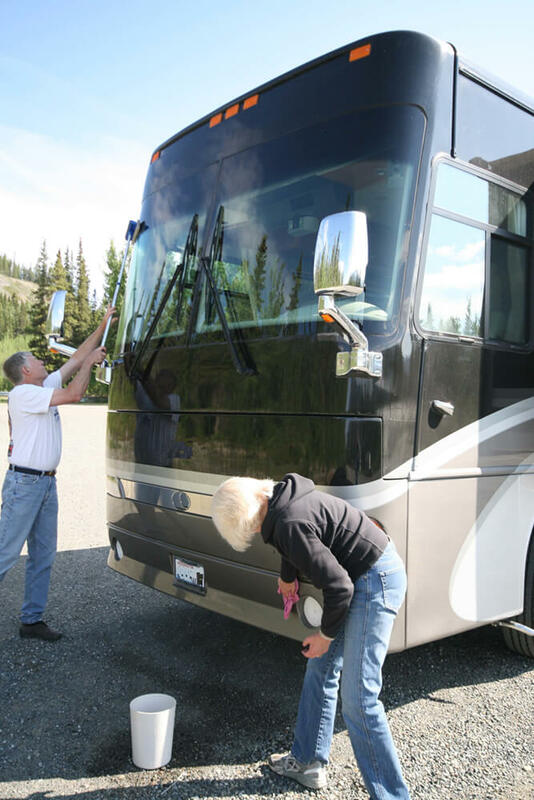 Whether scrubbing down the sides, roof, or even polishing up the headlights, a little bit of exterior TLC can help keep your RV beautiful for years to come. It might go without saying, but clean your RV after each trip. Vacuum, sweep, and mop the floors, and wipe down the kitchen and bathroom with your favorite cleaner. Strip down the beds and always replace with fresh sheets before heading out again. 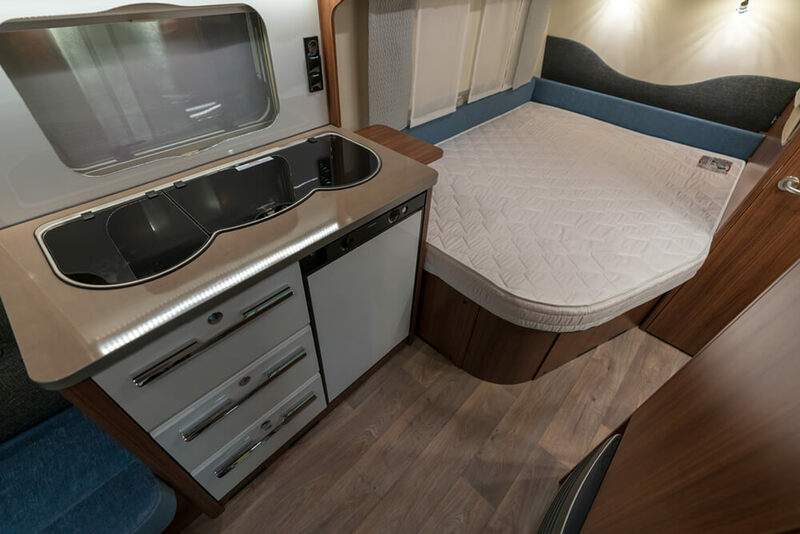 Routine cleaning will help keep the interior of your RV feeling brand new, and help keep the spark of joy you find in traveling alive. Also, keep a stash of spare light bulbs for every fixture on your RV somewhere within easy reach. Light bulbs go out at the darndest times, and you won’t be caught unprepared if you keep extras stored in the RV. Always update your stash when you return from a trip, or before leaving for your next one, so you always have extras on hand. Keep your fire extinguishers and carbon monoxide and smoke detectors checked. Replace the batteries regularly. You can’t put a price tag on the safety of your loved ones! 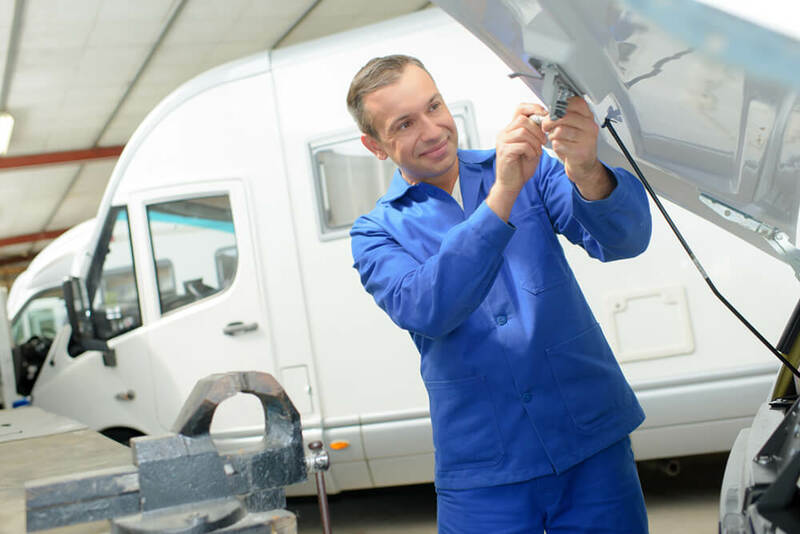 Just like any other vehicle you drive, your RV needs regular maintenance in its internal parts. Get your brakes checked, change air filters, change the oil, and check the plumbing, battery, and generator. Routine maintenance like this may seem like a chore, but if you space the tasks out regularly, you can easily stay on top of it. We offer full RV and Class B service by highly skilled technicians, so if you find yourself up against a repair that has you perplexed, we’d be happy to take a look. Give our service department a call or contact us today for more information if you have any questions about your RV’s needs. We’re ready to help you get back on the road!